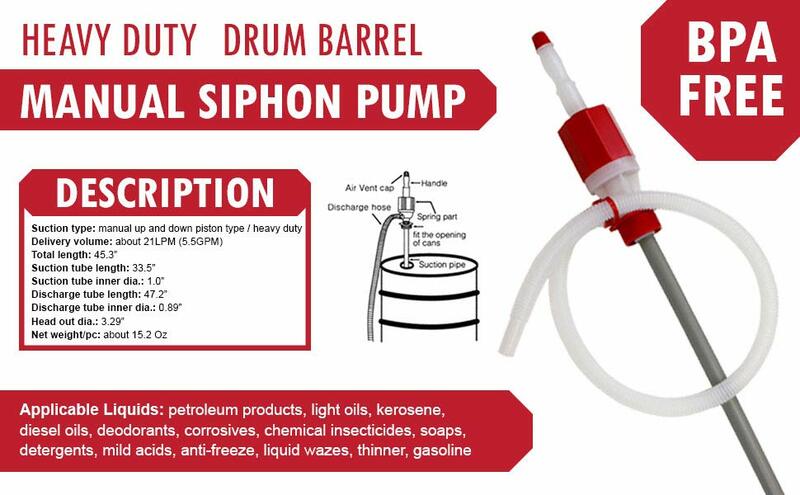 The TERA PUMP TRDRUM30 is an affordable manual transfer pump designed for quick and easy emptying of drum barrels of various sizes. TRDRUM30 eliminates the lifting of large, heavy, gas cans and spilling wasted fuel. Up and down operated flexible spring type bellows allow smooth operation and high powered discharge. Made of polyethylene and PVC. Comes standard with a 2" NPS bung adapter. 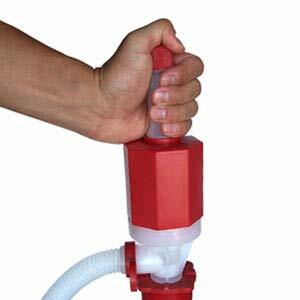 Siphons to a lower level or pumps to higher level. 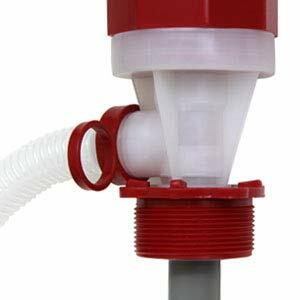 Siphoning is controlled by the air vent on top. 1. 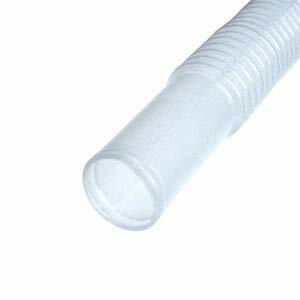 Insert suction tube into drum barrel and screw down threaded bung adapter. 2. Position discharge hose into receiving container. For siphoning, be sure level of drum barrel is higher than that of receiving container. 4. To allow siphoning action. Siphoning will slow down and then cease as supply lowers and receiver rises. 5. 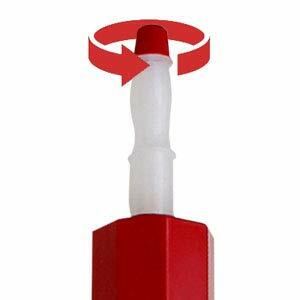 To stop the flow of liquid, unscrew cap on the top of handle counterclockwise. Close cap again before next use.